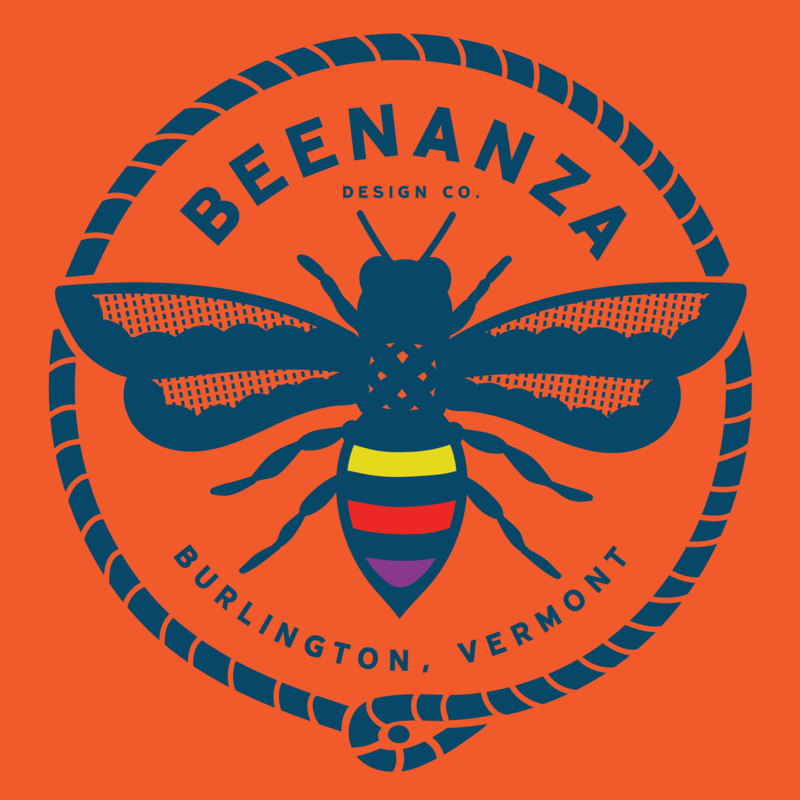 Bethany of Beenanza Design is partnering with Jeremy Fritzhand of Studio Bagru who will be traveling from Jaipur, India to offer this 2-hr Block Printing Workshop in Vermont for the first time! He will be traveling with over 60 custom wood blocks, some designed by Bethany, and hand carved in India especially for this event! 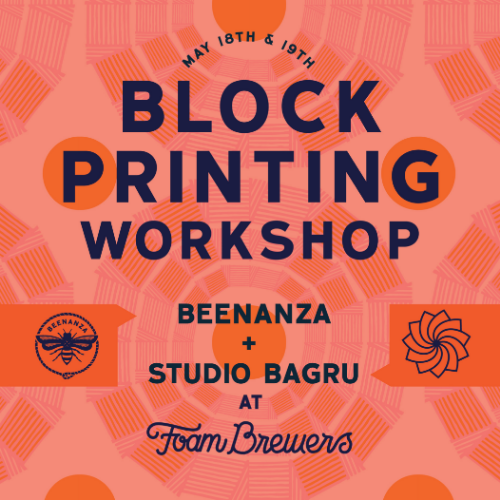 Come block print with us! Included with each ticket will be 1 TOTE BAG FOR PRINTING + 1 DRINK TICKET. Each attendee will have their own work station. Wood blocks & ink will be provided for printing. This event is BYOC - “BRING YOUR OWN CLOTHES!” Bring blank t-shirts, fabric or scraps, old aprons, or anything you’d like to spice up with some pattern — make old clothes new again! Limit 3 "BYOC" items per ticket. Please no table cloths or bedsheets. 1 item is equivalent to 1 yd of fabric. We will be printing outside under a tent. So please be sure to dress for the weather. Plan to bring an apron or wear clothes that can get messy. Kids under 12 are welcome as a +1* (as long as you don’t mind sharing your station & tote!) If you do, we’d recommend buying another ticket. *Limit 1 child under 12 per 1 adult ticket purchased. Studio Bagru from Spencer Byam-Taylor on Vimeo.